Birla Sun Life Insurance has been one of the biggest players in the insurance industry and has established its might over the years. It offers a wide range of products to its diverse customers and also boasts of an extensive customer care service. Any person who has any queries regarding the product provided by the insurer can contact them via telephone, email, SMS facility, and also by visiting their official website. Birla Sun life insurance customers and all those who have any query can contact the customer service on the toll-free numbers anytime between 9:00 a.m. to 9:00 p.m. for all seven days of the week. If the customer is a resident of India then he/she can dial the toll-free number - 1800 270 7000 between 9:00 a.m. to 9:00 p.m. on any day of the week. If the customer is travelling outside India or is a non-resident Indian, he/she can dial +91 22 66917777 during the given working hours on any day of the week. A Birla Sun Life customer or any person who wishes to get his/her queries addressed can send an email to care.lifeinsurance@adityabirlacapital.com. 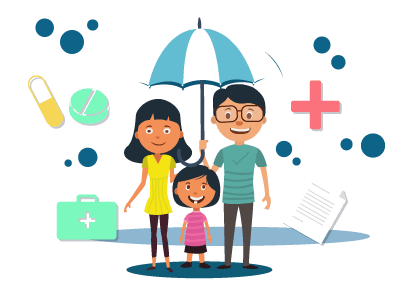 A Birla Sun Life Insurance customer or any person who wishes to get relevant information regarding the products availed by them can use the SMS facility provided by the insurance company via ‘MYALERTS’ service. It is important that the person’s mobile number be registered with the insurance company so that he/she can receive the information. A person availing this service will have to send an SMS using the below given keywords for the particular request to 567679. The SMS format for each service is given below in the table. For example, if the customer wants to find information about the NAV of a specific fund, he/she needs to type BSLINAV <12345678> <29/05/2018> and send the SMS to 567679 from their registered mobile number. New and existing customers of Birla Life Insurance can chat with the online agent in case of any query. The person will have to visit the insurance company’s official website and click on a small tab called ‘Need help’ which is easily visible. The person can then start chatting by typing in the dialog box provided. The customer care executive will respond to the query. Birla Sun Life Insurance takes great measures when it comes to addressing their customers’ grievances. Hence, there is a separate page on the official website of the insurance company which allows the person to register his/her complaint. A person may raise complaint based on the sensitivity of the issue by following below-mentioned steps. Step 1 - A person can raise a complaint by clicking on the ‘Give Feedback’ option under which the customer will have to click on the ‘Grievance Redressal Mechanism’ option. In this step, the individual will need to click on the ‘Click Here’ hyperlink. The consumer can fill in the required details after which he/she will receive a token number. Ideally, a response is expected within 10 days from the date of receiving the complaint. Step 2 - If the person does not receive any response within the stipulated time, he/she can write to the Grievance Redressal Officer by entering the token number. Step 3 - If the person does not get his/her complaint addressed, he/she can then write a complaint to the Chief Grievance Redressal Officer by entering the token number. Step 4 - If the customer is still not satisfied with the solution provided, he/she can then write a complaint to the Grievance Redressal Committee by entering the token number. One can click on the ‘Locator’ option which is located on the top right side of the official website. The customer can find information regarding not only the insurer’s branches near his/her area but also the nearest medical facility and the alternate premium payment centre.